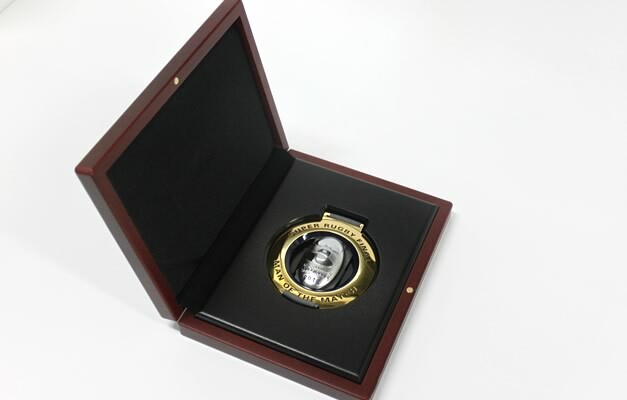 Since the start of the competition Box & Dice have produced the medal to be presented each year to the best player in the Super Rugby final. The medal is cast in pieces in brass which are then finished and polished prior to plating. They are then assembled, fitted with a ribbon and presented in a custom timber box.